for handling corrosive, abbrasive, hygienic viscous liquid for transfer, loading-unloading & pressurising applications. 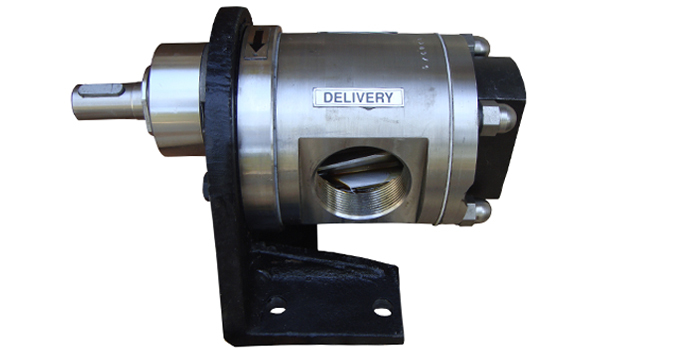 ROTODEL gear pump type "HGSX" is all stainless steel SS-316 self priming bi-directional positive displacement rotary pump, fitted with teflon coated dry running 'DU' bush bearing. Three piece design makes the pump easy cleanable, easy maintainable simply by removing four dom nuts on back cover. 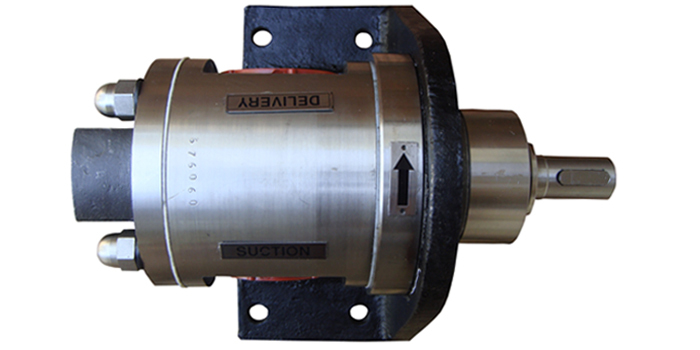 Mechanical seal is optional for teflon gland packing. The mounting bracket converts the pump to foot mounting & facilities to align the pump with electric motor of appropriate ratings on base plate at same frame height. 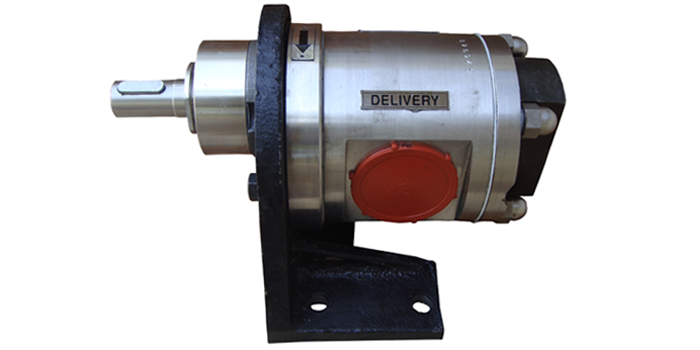 Power requirement at duty point can be worked out by multiplying the duty point pressure with unit hp.& adding no Load viscous power of appropriate viscosity to this. Safety margin may be provided before fixing the rating of the pri-mover. For higher viscosity further margin may be kept or the manufacturer may be consulted. 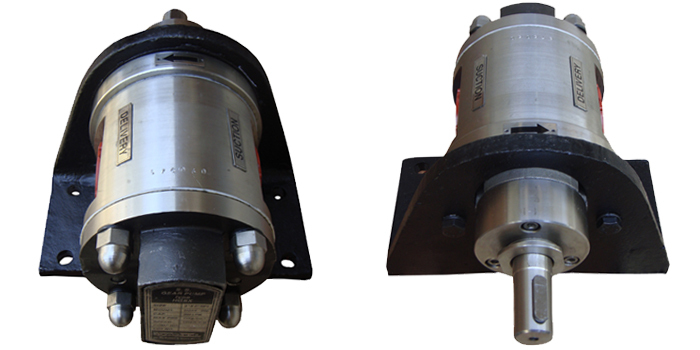 All sizes of 'HGSX' pumps are designed to run at 1440 RPM up to viscosity of 500 CST, however small size pump up to 1" can be run at 1440 RPM safety, even at higher viscosity up to 1000 CST but with additional horse power, for higher sizes reduce the speed to 960 RPM. For viscosity above 1000 CST. speed is require further to avoid cavitation & over loading consult our expert. This compact & efficient SS pumps finds different application for handling food products like Ghee, Butter fruit pulp, vegetable souse, kanji etc. They are also used in Pharmaceutical application for handling sugar solution, Glycerine, Glycol etc. 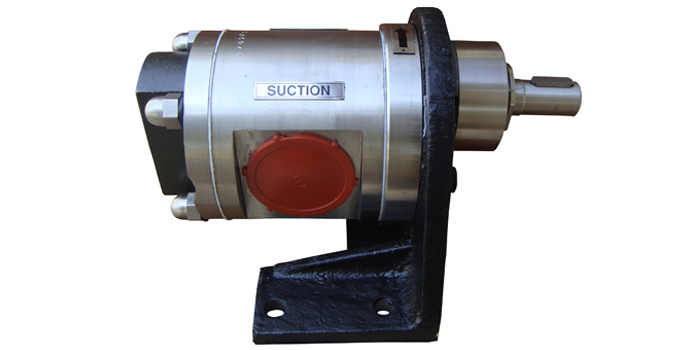 Corrosive viscous chemicals application can also be met with this pump most effectively.